Dough memory foam's exclusive formulation makes it the softest, doughiest memory foam that is both comfortable and therapeutic. Coupled with the newly released zoned pin-core design, this pillow provides superior pressure relief and can eliminate sleeping pain. Dough formula creates a softer, doughier memory foam pin-core design provides zoned support open cell technology promotes increased breathability and maintains a comfortable sleeping temperature offers superior pressure relief and can eliminate sleeping pain naturally hypoallergenic and dust mite resistant maintains its original form - never needs fluffing luxuriously soft, embossed removable velour cover. Note: I prefer a thicker and somewhat firm pillow as a side sleeper. This pillow is a great value. Compared to other similar pillows I've used, the price is great. I do rotate between this and a down alternative pillow, which is thinner and very plush. 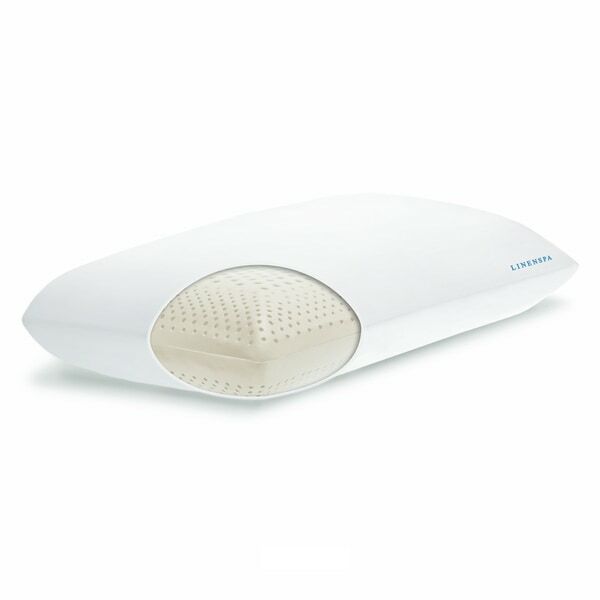 This Linenspa memory foam pillow makes the rotation when I want to sleep on my side. The support is perfect, and it doesn't get hot. I have neck issues and I was looking for a foam pillow with a little firmness but not too much. This pillow is incredible! It’s helped with my neck issues and I’ll also a side sleeper and it fits so well since its memory foam. I highly recommend this pillow! Best pillow hands down. Soft. Squishy. I’m in heaven with these pillows. And the price is fair compared with others alike. I feel it is important to add that the support of this pillow is not a strong point. It sinks down flat wherever you place weight. So while laying on it, it goes pretty flat where my head is. But it still feels squishy and like a cloud. I ordered the high loft plush. If support is what you need, then I would suggest the firm. This pillow will conform in a very comfortable position to every part of your head, neck and arms. It truly is wonderful. I don’t think I will ever be satisfied with any other pillow after using this. Very nice pillow. It stays cool. I wish I had gotten the high loft, so I gave this one to my daughter and ordered the high loft for myself! Great pillow. Good loft and firm enough for side sleeping. Wonderful pillow. Extremely comfortable. Offers great support without being too hard. It doesn't get hot when you are sleeping and doesn't lose it's shape. This pillow is ok. Very flat. Great pillow! Getting ready to,purchase another! 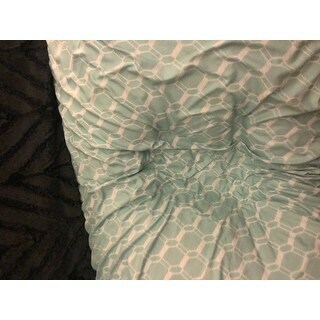 "Is this pillow good for back and side sleepers? I have back and neck problems and start my sleep on my back, then sometimes sleep on my side for awhile. If yes, would I be better off with a high loft or low loft king size pillow. I currently use a standard size memory foam contour neck pillow. Thanks." Because of the price. I've used memory foam pillows before and this one is a good value. I've enjoyed this pillow. It's a medium-firm feel which is perfect for me. Already own 1 king sized & 1 standard. Needed another king. Great low loft pillow. "What is the actual firmness of this pillow? Under the description Firmness is noted as "Firm, Soft, Medium-Firm & Medium-Soft". However, there is no option to select firmness. If I order a high loft plush pillow, what will the firmness be?" Hello shipmate13, a high loft plush will be a medium soft, a high loft firm will be a firm pillow, a low loft plush will be very soft and a low loft firm will be a medium firm. Thanks for shopping with us! "In the description, there are 3 different thicknesses noted. One says this pillow has a thickness of 6", another states 7" and a third states 4.5". If I order a low loft thickness pillow, what will the thickness of the pillow actually be? And what will the thickness of the high loft pillow be?" Hello shipmate13, there are different firmness options. The High Loft Plush is approximately 7 inches high, the high loft firm is approximately 7 inches high, the low loft plush is approximately 4.5 inches high and the low loft firm is approximately 4.5 inches high. Thanks for shopping with us!